You'll be £25.00 closer to your next £10.00 credit when you purchase Cromwell Hath The Honour. What's this? Much has been written about the first Civil War and the triumphs of Oliver Cromwell. Less is known, however, of the skirmishes of the second Civil War, especially in the north, or of the role and military prowess of the excellent young Parliamentarian commander Major-General John Lambert. 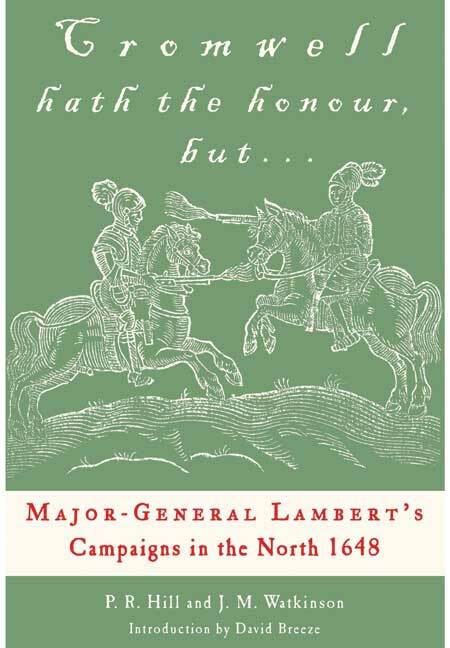 Not only was Lambert a brilliant general who demonstrated exceptional tactical skills but he was also a brave and humane leader who was well liked by his men and merciful to his captured enemies, refusing to undertake the harsh actions indulged in by Cromwell. This carefully researched and highly readable new account re-examines contemporary sources to shed new light on Lambert's decisive northern campaign of 1648–1649. Remarkably detailed and supported by maps and photographs, this is an important source for the general reader and military historian alike. Local material is interesting- where else, for example, would it be possible to get details of the skirmish that took place at Appleby? – While there is also a good account of the siege of Pontefract castle. Add to this a useful collection of maps and photographs, and the result is a work that many members of the battlefield trust might wish to have on their bookshelf. DR PETER HILL developed his interest in the Civil War following work on the activities of the Roman army. is the Membership Secretary of the Early English Text Society. In 2008 they published Major Sanderson's War - a new reading of the only extant diary by a Parliamentary officer on active duty in the second Civil War.